Driven by mounting losses, many news outlets have switched to an all-digital model. Take a walk along St. Antoine Street at the edge of Old Montreal, just west of the main courthouse, and it’s hard to miss the glass-walled former pressroom of the newspaper La Presse. This lofty space, visible from the street, is now home to the newsroom. Where giant contraptions once churned mightily putting ink to paper, there sits a tri-level marvel of contemporary architecture where reporters and editors perform their daily tasks. This newsroom has largely escaped the massive cuts that have decimated editorial staff at the Postmedia newspapers and elsewhere. But there’s no ink, and no paper. La Presse is now a digital-only publication. Newsstands are declining in number and scope, and some outlets (for example, a convenience store near where I live) have given up entirely on newspapers. At the ones where newspapers are still on offer, there’s a noticeable gap where La Presse used to appear, sometimes in glorious heaps that would reach sky-high on Saturdays with the massive weekend edition. To enjoy the product of what is still an impressive news-gathering and news-analyzing organization, you now require an iPad or similar device. The Saturday print edition disappeared at the beginning of 2018, two years after the weekday print edition. They’ve been replaced by a tablet edition marketed under the name La Presse+, which unlike the web pages of most news organizations is read like a traditional newspaper, laid out on pages that are “turned” with thumb motions. Some people are obviously happy with this change. La Presse management claims to have attracted a larger – and younger – readership than ever before. One reason for its popularity is a policy of free distribution, with no subscription fees or paywall. In September 2018, downloads of the tablet app passed the million mark. But this is not necessarily a story with a happy ending. La Presse is afflicted by the same financial challenges that face countless other publications in the Western world and beyond. Driven by mounting financial losses, a growing number – the Independent of London, which made the shift in March 2016, is a notable example – have switched to an all-digital model. Printing and distribution costs far exceeded revenues from subscriptions and newsstand sales. Eliminating print editions was a way of cutting costs. The thinking was that advertising revenues would be more than sufficient to cover the other costs of producing a newspaper. And the owners of La Presse had deep enough pockets to develop the required software for the tablet function. They even managed to sell their proprietary technology to the Toronto Star, though the Star Touch experiment ended in failure due to lack of reader interest. The elimination of paper provided relief on the cost side of the ledger. But things haven’t been looking so good on the revenue side, with a continuing slump in advertising volumes despite the positive movement in readership. The extent of the slump is not known publicly. Although La Presse was for many years owned by a publicly traded company, its financial results were not disclosed separately. And now it has changed ownership, part of a continuing and increasingly dramatic story. 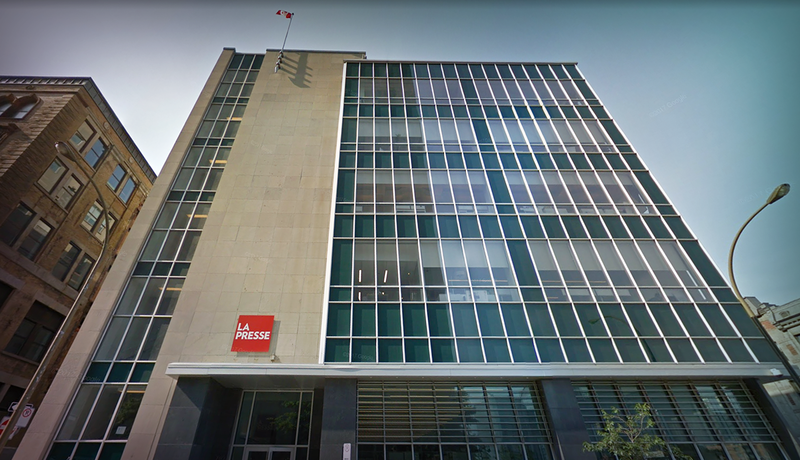 La Presse was founded in 1884 and was acquired in 1967 by a subsidiary of Power Corporation of Canada, which a year later came under the control of the late Paul Desmarais and is now controlled by his two sons. Power Corporation, founded in 1925, got its name from its holdings in electric utility companies. Its main focus long ago shifted to the financial services field. Through its partly owned subsidiary Power Financial Corporation, it controls Great-West Life, London Life, Canada Life, Investors Group and Mackenzie Investments, among other companies in Canada and abroad. And through its Gesca subsidiary, it owned, until recently, La Presse and six regional dailies. The regional dailies, with Le Soleil of Quebec City as the flagship, were sold in 2015 to Groupe Capitales Médias, a newly formed company headed by Martin Cauchon, a former federal Liberal cabinet minister. This was just the start of the convulsions that lay ahead. The Desmarais family has, over the years, established close relationships with leading Liberal Party figures, primarily at the federal level, as well as with some Conservative politicians, including two former Ontario premiers. Paul Martin worked for Power Corporation for many years, and Jean Chrétien sat on the board of a Power subsidiary. Pierre Trudeau served briefly during the 1990s on Power’s international advisory board. The newspapers under the Desmarais family’s control have generally been close to the Liberal Party and have always been staunchly federalist on their editorial pages. This is especially true of La Presse. The cause of the slump in advertising revenues can largely be summed up in two words: Facebook and Google. By some estimates, these two Silicon Valley behemoths together account for 80 per cent of online ad revenues in Canada. Their operations include news aggregation, which amounts to the appropriation of content produced at great expense by newspapers and broadcasters while siphoning a hefty portion of the advertising revenues that used to cover the costs of news gathering. Meanwhile, the likes of Craigslist and eBay have drained away most of the classified advertising revenues that were a mainstay of the newspaper industry. And these foreign firms are not even required to collect GST or provincial sales tax on their Canadian revenues. This has resulted in a business model that makes little financial sense for newspaper publishers, in Canada or elsewhere. Newspapers were long among the most profitable of businesses. Now the opposite is true, and many have succumbed. Newspapers, of course, are more than businesses. They are also important community institutions that, under current circumstances, are seen increasingly as worthy of public support. Already, the Quebec government has committed $10 million to the financially distressed Groupe Capitales Médias to assist with a digital shift. In July 2018, La Presse was ceded to a nonprofit foundation. The Desmarais family, to their immense credit, pledged $50 million to stabilize the employee pension plan. As much as they would probably have liked to remain in the newspaper business, it was becoming an intolerable drain on resources. La Presse is hardly the first newspaper in the world to adopt the nonprofit foundation model. It follows in the footsteps of The Guardian and the Philadelphia Inquirer, among others. A key attraction is that this status enables it to receive tax-advantaged contributions from charitable foundations, for which private businesses would not be eligible. It could also become eligible for financing under hypothetical government programs in support of the newspaper industry. Just as Ottawa supports broadcast journalism through the CBC, it could soon find itself supporting newspapers, whether in paper or digital format. Of course, there are tricky ethical problems to be worked out, such as editorial lines that could be seen as favouring the party in power. But a number of European governments have long provided various forms of financial support to the press, and Ottawa is under growing pressure to respond to the fallout from Silicon Valley encroachment, especially on the heels of unfavourable reaction to a 2017 agreement under which Netflix was exempted from sales taxes and production fund contributions that its Canadian-based competitors are required to pay. Despite the intensifying woes, Montreal (on the French side) remains, along with Toronto, among the most competitive of North American newspaper markets. 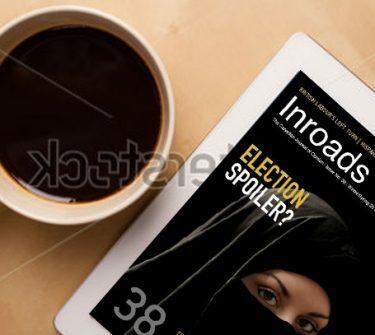 La Presse, the traditional broadsheet newspaper of the broad middle class, is seeking a new way forward in the 21st century. Le Journal de Montréal, long denigrated as a sports-and-crime tabloid, has in recent years produced some creditable political reporting, but it too faces financial challenges. Its owner is Québecor Inc., a broadcasting and telecommunications giant controlled by Pierre-Karl Péladeau, who served briefly as Parti Québécois leader. Le Devoir, which has earned intellectual esteem through most of its existence but has long been a low-circulation financial weakling, seems paradoxically to be coping better than its larger rivals, with a recent recapitalization and a subscription-focused revenue model. Resolutely independent, Le Devoir has an unusual ownership structure, with 51 per cent of the shares held by a foundation under the nominal control of the editor-in-chief. Adding to the competitive mix are Métro and 24 Heures, rival tabloids distributed free at public transit stations. Meanwhile, the Postmedia-owned Montreal Gazette looks like a pale shadow of a pale shadow. The bitter joke goes that any further cuts in editorial staff will leave it in minus numbers. As a long-time reader of La Presse with a sentimental attachment to paper, I found the adjustment to the tablet edition difficult at first. But I soon discovered advantages. I can read the newspaper (the “news” part of the word still applies even if the “paper” part does not) without having to step out of bed. One initial fear was that the editors would be tempted to rely more heavily on photos and fancy graphics at the expense of hard news coverage. This fear has turned out to be unfounded. Yes, there are more photos than before, but there is also more text. Without the constraints imposed by physical production, there is more space available, and it is often put to good use. I also have to confess that some of the graphic elements are quite appealing. All in all, I think the product has improved since the print days. La Presse continues to produce good journalism, with some serious investigative reporting and a number of columnists who are well worth reading. Among them are international affairs writer Agnès Gruda, political columnists Lysiane Gagnon and Patrick Lagacé, legal affairs columnist Yves Boisvert and cultural affairs columnist Nathalie Petrowski, along with Rima Elkouri, who writes about immigration, among other topics, and Boucar Diouf, who covers a vast range of topics ranging from marine biology to Senegalese folklore. I truly hope La Presse ends up with a business model that works. But I fear that its very survival is at risk.